Getting money to fund a startup can be very difficult. While there are a lot of options available to established businesses to get small business loans, startups do not have any revenue or time in business usually. This makes finding an option for funding very difficult because there really is no such thing as a startup business loan. However, there are still some options available for new business owners to get access to capital. Some of the most popular and established ways to fund a startup include crowdfunding, angel investors, equipment financing, SBA startup loans, and credit cards. Regardless of which options you use, there are 3 reasons why credit cards should always be included in every single startup business funding plan: (1) You can get credit cards with 0% interest for extended periods of time; (2) you will get perks and rewards for your business every time that you swipe; and (3) you can get access to cash faster than any other method of funding. The best part about using credit cards to fund your startup business is that you can literally get access to money for 0% interest for up to 21 months. This means that if you are approved for a credit line of, say, $15,000, your business will have access to the money and you do not have to pay a single dollar in interest for however long the 0% period lasts. There is simply no other funding option available to startups or established businesses with 0% interest for extended periods of time like this. If you take out multiple credit cards, you can get access to a significant amount of money – maybe even all of the money that you need to start your business. Suppose you want to start a food truck business and you need $40,000 to buy or lease the truck and get the business off of the ground. If you just take out one credit card, you may get $5,000 to $10,000 in the form of an unsecured line of credit. But what happens if you take out 4 or 5 different credit cards? You can get all of the money that you need for your business just through credit cards. The best part about it all is that you will also get 0% interest as long as you apply for 0% credit cards. 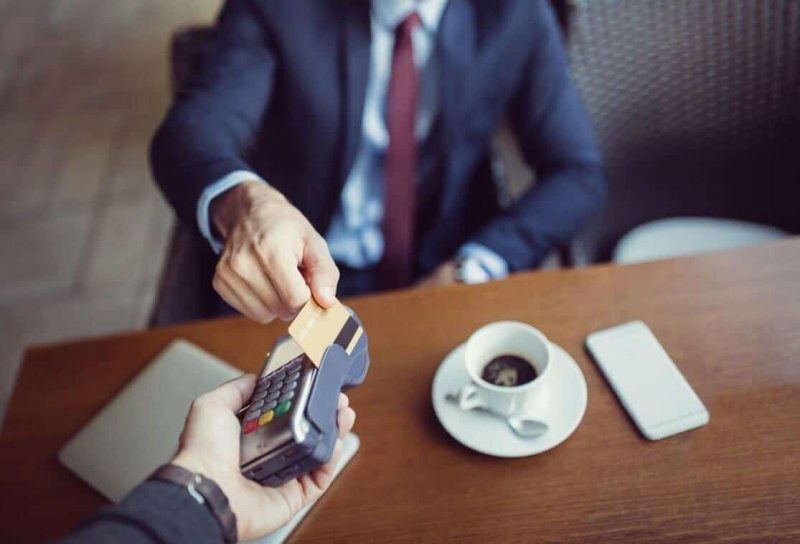 The second reason why credit cards should always be a part of any startup business funding plan is because every time you swipe the credit card you will earn rewards and perks for the business. Now there are different types of rewards and perks that we must discuss so you know all of the main options available to business owners. The two major types of rewards are cash back and miles. With respect to cash back, it works just how it sounds. Whenever you swipe the credit card, you earn a certain percentage back in the form of cash from the credit card issuer. With respect to miles, you can earn them whenever you spend money on the credit cards. Every new business can always use some extra cash, right? So, let’s say you spend $10,000 on credit cards to start your business and you earn 1% cash back on all purchases. The bank will literally give you $100 for absolutely free. You can do whatever you want with the extra $100. Go buy supplies or use it for gas to drive to work. It is your choice. With respect to earning miles, you can get to travel for absolutely free. A lot of these cards come with big signup bonuses too, meaning when you spend between $500 or $1,000 in the first 3 months of having the credit card, you may earn up to 50,000 bonus miles. In addition, you can earn 1-3 miles every time that you swipe. Imagine if just by spending what you normally spend, but on the right credit cards with miles, you get a free trip for you and your business partner to New York from Los Angeles. This can literally save your company thousands of dollars. If you are starting a business and not earning either cash back or miles, you are completely missing the boat. The key is to find the best credit cards with the longest 0% interest period and the best rewards. Or just go for the longest possible 0% intro period, or, on the other hand, the credit card with just amazing rewards and signup bonuses but a smaller 0% introductory period. If the first two reasons why credit card should be used in every startup funding plan did not get you, think about the speed of funding with credit cards vs other options. One of the most popular types of startup funding options is SBA loans, for example. These loans are absolutely amazing because of the low interest rates and the ability to get up to $50,000 in the form of a microloan. The problem with this type of a microloan, though, is that it can take months to get approved. With cash flow being so important, why not use credit cards while the microloan is in process. If you get the SBA loan, you can just pay off the credit cards. Since you signed up for 0% credit cards, it is basically free money for your business. While SBA startup loans can take months to get, you can get credit cards to help fund your business in as fast as 1 week. As long as you have a 680+ FICO credit score, there a ton of different credit cards for which you can apply. Once you are approved, the credit card will arrive at your house or business within 14 business days. There is no faster way to access cash for your business. In the end, credit cards do not have to be the only method you use to fund your startup. However, they should definitely be a part of the plan as credit cards can be used in conjunction with any other funding source regardless of whether we are talking about equipment financing or SBA startup loans. With credit cards you can get 0% interest for up to 21 months. There is no other way for a new business owner to get such amazing rates. When you spend you can earn miles or cash back to use on your business. When you sign up, you may be eligible for a big bonus to put towards your business. Finally, there is no faster way to access cash than using an unsecured line of credit from a major bank.